1. (+) Anna, the protagonist - She could be preachy sometimes, but she was sweet and strong, and it was easy to identify with her struggle. She's definitely innocent and though she's eager for new experiences, she makes mistakes. She is vulnerable... but she gets through it all. Her moral code changes too thanks to her experiences. 2. 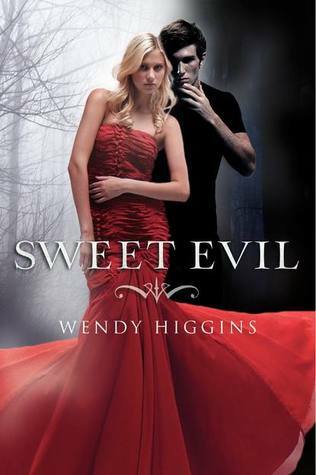 (+) World-building - I really liked Ms. Higgins' take on the fallen angel world. Bad influences, badges, the twelve Dukes and the politics behind their treatment of their children, how their domains influence the Neph, influencing other people, pheromones... It's not a black and white situation either--angel or demon; there is leeway for how the characters interact. There is also a hint of Neph and hell, but I'm getting the feeling that it's really not as simple as Anna and the other characters think. That being said, I could see some people getting turned off by how biblical the world is and some of Anna's comments/attitudes. 3. (+) The Romance - This was a really nice romance. On one hand, it might look like another typical bad boy romance--Kaidan, who's more experienced and the son of the Demon of Lust, finds Anna Whitt, a girl with a unique heritage (but who's also plain and innocent and fades into the background most days), attractive. But this romance I could get behind. Kai's story (along with the other Neph's) is pretty sad, so he does fit the tortured type, but he is both vulnerable and confident, selfish and selfless, strong and childish. He's a believable teenage paranormal romantic interest who's not like 10,000 years old. He's a good fit for Anna. 4. (+) Character Development - Not just in Anna. In Kaidan too. Anna in particular gets to see the world for how it really is and loses her innocence but not her moral compass. Kaidan learns, I think, through Anna to have some faith in the world. It was a refreshing experience to see a heroine in paranormal romance go through such development in one book and not have it take the whole series. 5. (+) Character Cast - That being said, I thought that a lot of the characters were well developed. Even though they were side characters, Ginger, Blake, Kope, etc. had their own stories, and Ms. Higgins made sure to make each character unique so readers wouldn't get sidetracked/confused. I suppose if she wanted to streamline the story more, getting rid of these other Neph and Jay, Anna's best friend, would have helped, but I enjoyed the interactions between the characters. 6. (--) Plot - Slow, slow, slow. If the plot had more action and excitement in it, then this would have been one of my favorite paranormal romances. It gets its characters, heroine and hero right, but the plot was a tad lackluster. The road trip was basically a glorified info dump except for a few intense moments with Anna and Kaidan. 7. (+) Sexuality - This is one of those stories that gets sexuality and sensuality right. I've mentioned before that I've hated how girls just fall at the feet of the paranormal romantic interest, and that happens a little, very little here, but it also embraces a girl finding things out for herself. It also has girl characters that aren't sluts, though their "job descriptions" might encourage those kind of names, and I appreciated that, because YA needs some girl characters who embrace their sexuality without being demeaned. 8. (+) The Writing - Pretty easy to read. Didn't notice anything unusual. Kind of has an addictive quality as most paranormals tend to have. 9. (--) Pacing - this goes along with my issues with the plot. Sometimes I wondered when the story was going to pick up, and it did a bit at the end, but the climax was even a bit disappointing in terms of raising the stakes. 10. (--) The Cover - Kaidan looks like a ghost on this cover. I like the shadowy light and the mood of the cover, but it also kind of looks fan made / not professional. 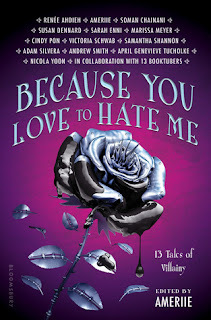 Though the plot was a little slow, this book restores some of my faith that there can be good, well-written paranormal romance (that isn't a complete rip-off of Twilight). I think having main characters that are a little "preachy" or a little "whiny" or a little whatever is fine. It actually makes them more real. Because in real life, people are whiny or preachy or whatever. So long as they don't do it too much.